The sound of this dish used to intimidate me. Classic French cooking was something I never dared to try. I assumed I would fail and never wanted waste such beautiful and fresh ingredients. Well. I’m here to tell you. This dish is not difficult to make. How could it be bad?! In translation Coq au vin means, rooster in wine. Not to mention all the delicious, farm fresh carrots, sweet potatoes and herbs. You really can’t go wrong with this one! The sauce is rich and aromatic. It provides a luscious, broth like consistency that keeps the chicken moist and full of flavor. Lots of people serve Coq Au vin with mashed potatoes but I really don’t think it needs it! 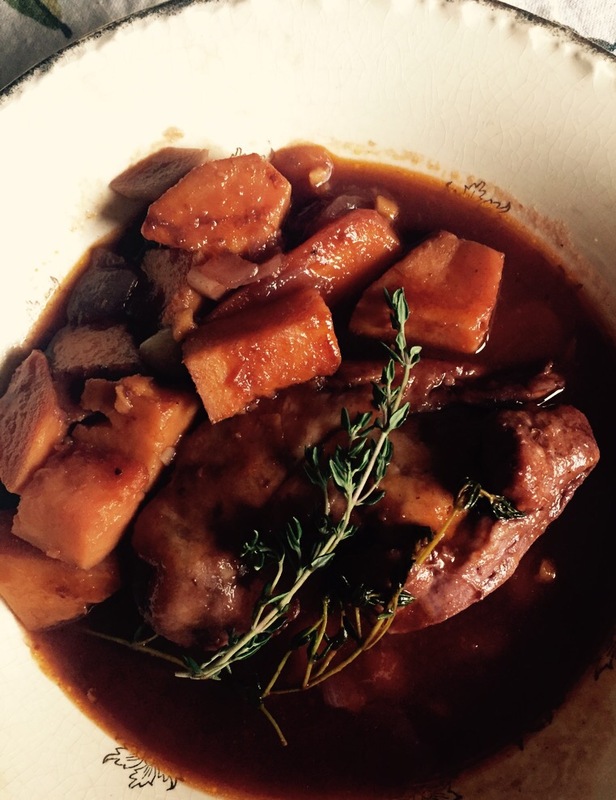 The red wine broth is the perfect pairing for the hearty sweet potatoes. My 8 and 9 year old girls loved it too! It certainly sounds like a grown ups only meal, but I promise, the alcohol burns off during the cooking process and leaves everything tasting heavenly–perfect for everyone’s taste buds. Even the littles. 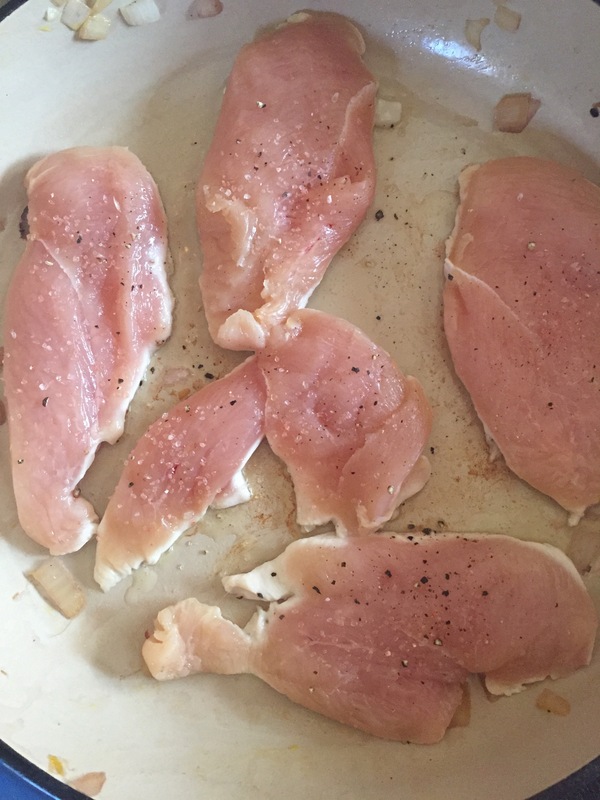 1.5 lbs chicken breast, or thighs if you prefer. Start by chopping all your veggies. In a large dutch oven or enameled cast iron pot, heat your bacon grease and a drizzle of olive oil over medium high. Add your onions, potatoes and carrots and cook for 5 minutes. Next add in the mushrooms and cook for another 2-3 minutes. Season with salt and pepper. Add in a 1/4 cup of the vegetable stock, cover and reduce the heat to low. Let this simmer for 5 minutes to steam the veggies. 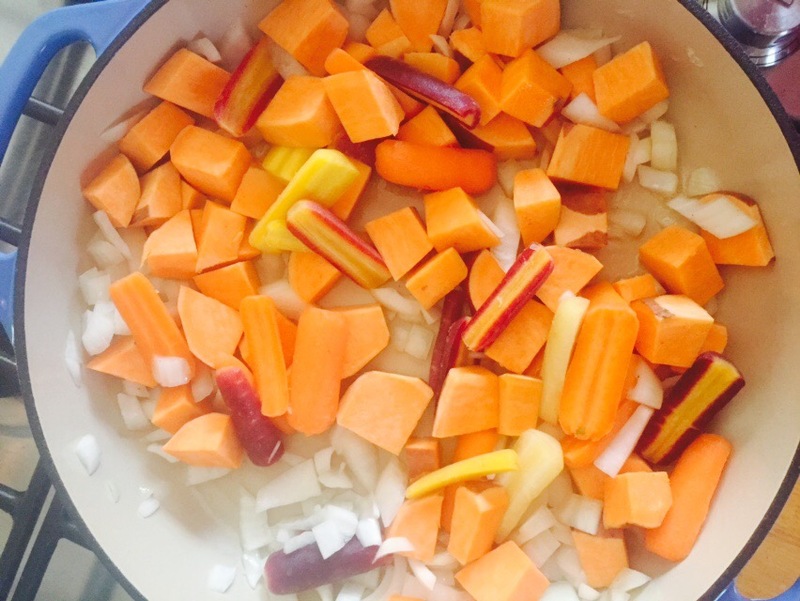 Remove the vegetables into a separate bowl. Add a bit more oil to the pot and place your chicken in. Season and cook for 5-8 minutes per side or until the chicken is cooked throughout. Meanwhile, stir the tomato paste in with your vegetable mixture. 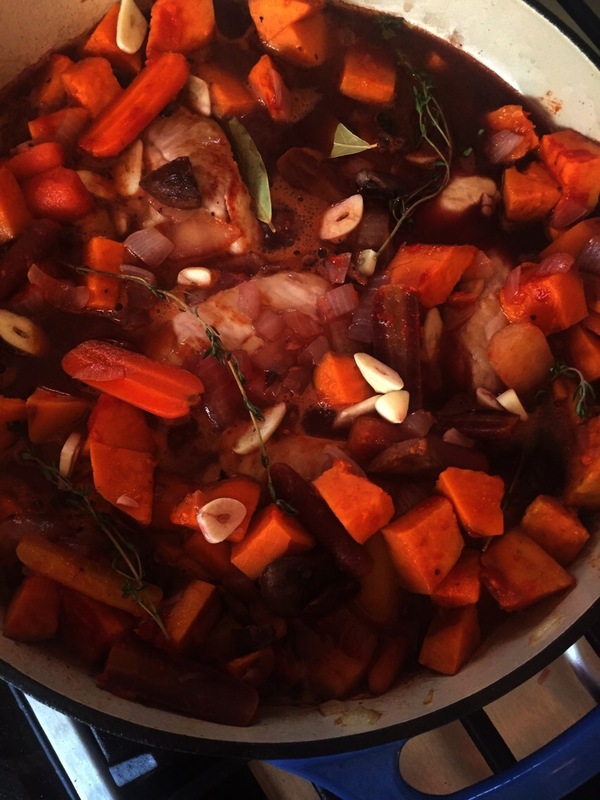 Add them back in with the chicken, and slowly add the wine, the rest of the vegetable stock and the garlic. Place your bay leaves and thyme on top. Season with a bit more salt and stir everything together before bringing the dish to a boil. After it has come to a boil, reduce the heat and simmer for 10 minutes, the sauce should reduce by 1/4. 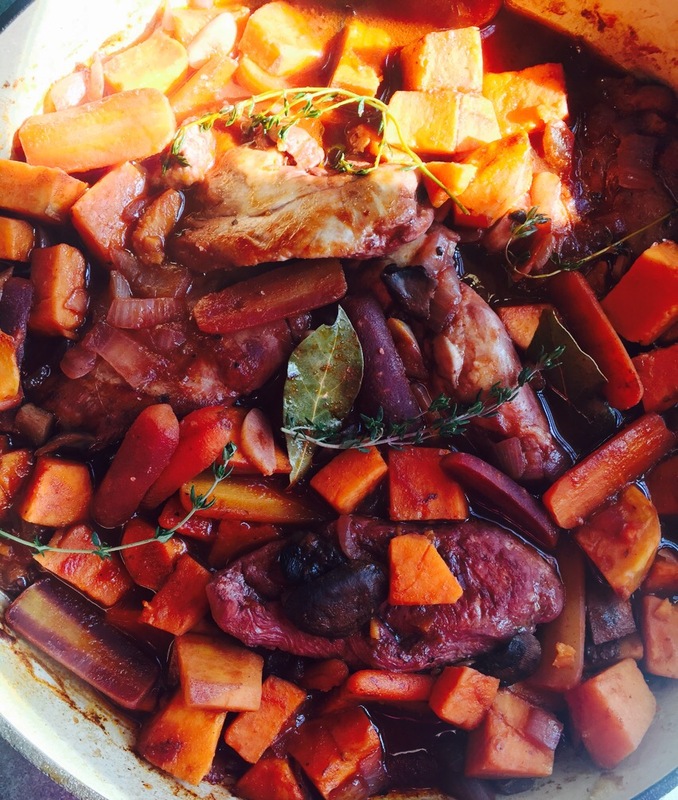 Your Coq Au Vin is now ready to serve!! It truly is a classic tasting meal, full of hearty flavors. Enjoy! !